This article is reproduced from the candidate’s campaign website. Thank you for inviting me to the East Bay Democracy for America Meetup. My name is Gene Ruyle, it’s a silent “Y” so it rhymes with cool. I’m the guy from the Peace and Freedom Party, the only working class, socialist, and feminist party in this campaign. There was a time when people looked to the Democratic Party for progressive social change in America. We think of FDR and the CIO, the WPA, the Sit-Ins, the Wagner Act, and Social Security. But that was a long time ago, before even I was born. Let me tell you a story. We have the greatest University in the world, right here in the 15th Assembly District. When I graduated from UC Berkeley in 1963, I paid $150 a year in fees, no tuition. This meant that even with my minimum wage job, I could pay for my education by working two or three hours a week. The following statement is provided by the candidate, who is responsible for its content. A veteran and grandfather for peace, Eugene Ruyle is the 2014 Peace and Freedom Party candidate in the 15th State Assembly District, which runs from San Pablo and Richmond through Berkeley and North Oakland to Emeryville and Piedmont, and includes the Cal campus. 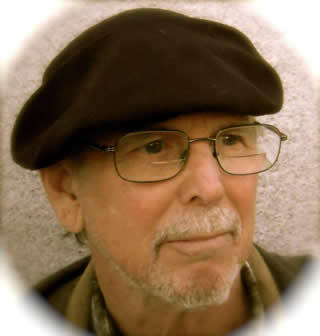 Gene is a retired Anthropology professor who supports the Peace and Freedom Party Platform and Occupy Oakland. A Cal graduate, he wants to help build the movement to democratize and de-militarize the University of California as part of the larger movement to shut down the war machine, provide free education and health care for everyone, defend our personal freedoms, and protect our Mother Earth. In 2012, Ruyle received 25,167 votes, or 13.2% of the 15th AD total. The Campaign for Peace and Socialism is an electoral campaign, but socialism cannot be won through electoral means alone. The Peace and Freedom Party advocates participation in mass organization and direct action in neighborhoods, workplaces, unions, schools, and the armed forces everywhere. Electing a few socialists to the State Legislature won’t solve the problems we face in California. Our problems will continue until working people around the world organize as a class, take possession of our Mother Earth and the machinery of production, abolish the capitalist system, and build a global socialist world in which the free development of each is the condition for the free development of all. We urge everyone not only to vote, but also to register in the Peace and Freedom Party and organize for Peace and Socialism. The Ruyle for Assembly campaign would like to hear from you.